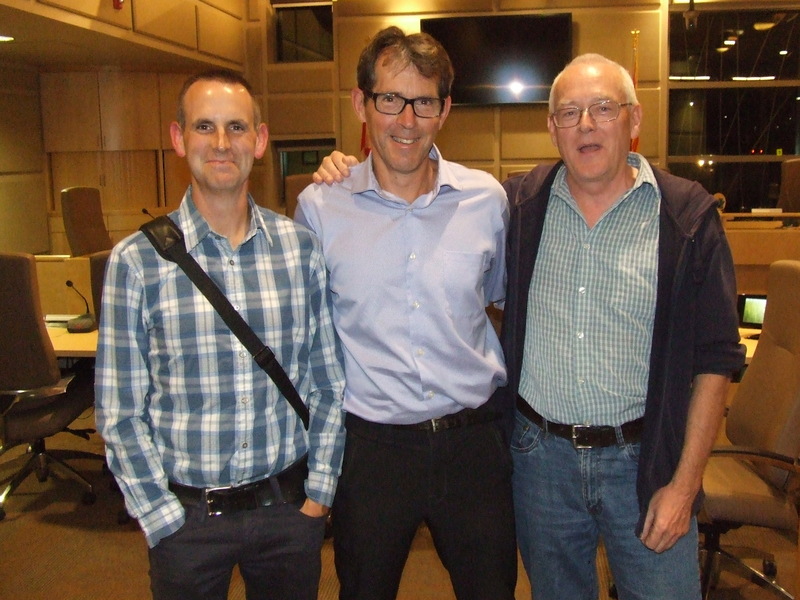 Sackville Town Council heard another plea Tuesday night for a pedestrian/bicycle crossing over the TransCanada Highway. Ross Thomas of the Tantramar Outdoor Club pointed out that the pedway project has been talked about on and off for nearly 20 years. 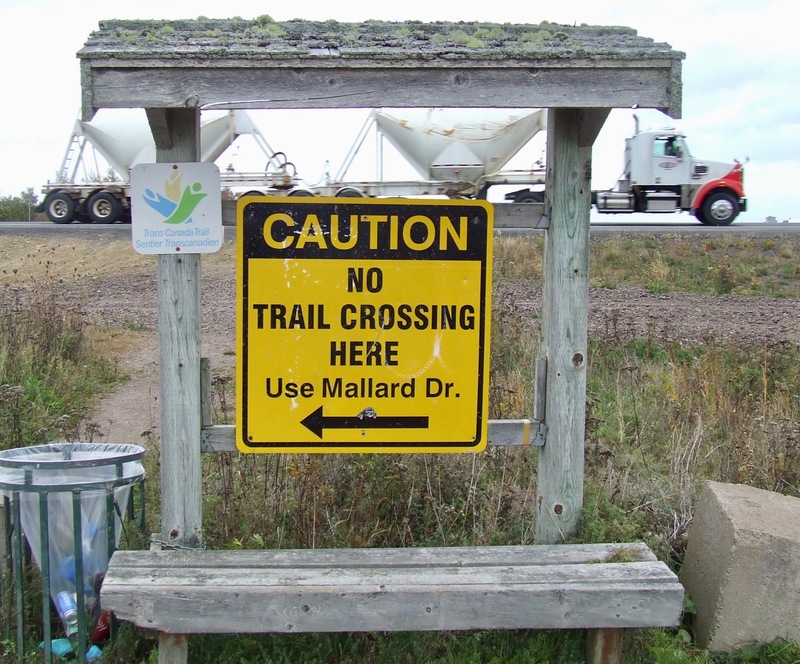 Thomas was referring to the hikers and cyclists on the TransCanada Trail who risk life and limb crossing the highway instead of taking a lengthy detour through the busy commercial zone off Mallard Drive and then across the bridge at highway exit 504 where there are no bike lanes. He added that doctors are always recommending more exercise and hiking and biking are great ways to get it. DeHaas adds that when she and Tim use the trail, they drive first to the high school parking lot avoiding the temptation to bike across the highway where 14-thousand cars and trucks speed by the Waterfowl Park every day. She adds that the town should put the pedway project in its budget as a way of attracting other financial support. “We are making this request because we would like to see all levels of government work to facilitate smart infrastructure in our region,” her brief says. Councillor Bruce Phinney, who has served on council since 2004, recalled that the pedway project was initially supposed to cost about $3 million, but that estimate later fell to $1.5 million when AIL offered to contribute construction materials at cost. Councillor Bill Evans said the project would fit well with town goals to promote healthy living. It remains to be seen, however, whether council will find any money for the project in the coming year. Town Treasurer Michael Beal said last night that the provincially imposed property tax assessment freeze could cost Sackville up to $250,000 and town managers have been told to keep that in mind as they submit their 2018 budget proposals. This entry was posted in Town of Sackville and tagged Christina DeHaas, pedway, Ross Thomas, Tantramar Outdoor Club, TransCanada Trail. Bookmark the permalink. It seems like a good idea to me though funds have to be looked at as well. It is kind of hard for anyone to be against bicycling, health and safety. In addition to the funds, there is also the safety of such a pedway itself to consider, or the safety of those who would use it to cross over the highway. Because of the divided highway, with 2 lanes on each side, and the divider between them, that is quite a distance such a bridge would have to span. It would have to be built very solidly, in part to withstand the winds, and also to protect it from damage due to the possibility of it being struck by a transport truck on the highway below. If a truck were to collide with a support column for a pedway, for example, then the whole pedway could come crashing down on the traffic below, on both sides of the highway, and anyone who happened to be atop the pedway at the time would not stand a chance of surviving. Would it be open in winter? – if so, it would have to be plowed or shovelled, and where would the snow go? – onto the traffic below? Lastly, in order for bikes to access it, there would need to be a fairly lengthy ramp on both ends, due to the height it would have to be in order to clear heavy trucks and machinery on the highway below. Stairways at either end would suffice for walkers, but not for anyone with any mobility issues such as difficulty climbing stairs – many people who like to go walking are fine on level ground, but do have a hard time with stairs. So would those folks be excluded? I’m not saying it should or should not exist, just that there are a lot of things to consider before any such decision is made, for sure. Not included in the cost estimates is that the thing would require maintenance. While there’s nothing wrong with the idea in principle, the questions that always need to be weighed are (a) How much it costs? and (b) Where it fits in with competing priorities. From this perspective, things that may seem like good ideas in the dream world of unlimited resources that we don’t live in no longer seem that way when viewed in the light of what else must be given up in order to achieve them. In reality, a lot of prioritising comes down to setting a value on “a life saved”. So it means: (1) How many dangerous crossings avoided? (2) How dangerous are these crossings? (3) What price do we put on a statistical life saved? (3) is an unpleasant question to ask, and I’m not asking anyone to put a price on an identifiable person’s life saved, hence my use of the term “statistical life”. And yes, we all do these kinds of calculations all the times, including without our lives: choosing to drive in bad conditions because of the importance of showing up to work, for example, when it would be “safer” to quit one’s job. Without doing this kind of detailed analysis, I can’t say whether I’m for or against it. I’m certainly in favour of a more detailed analysis before such large sums get allocated.